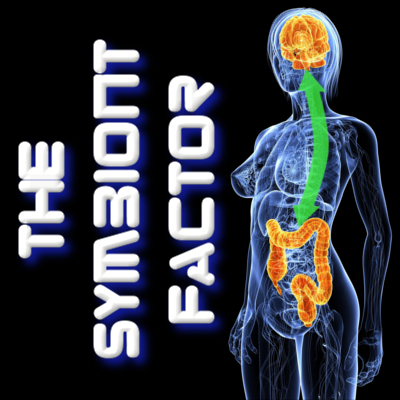 The Symbiont Factor is now a paperback, available on Amazon! This entry was posted in Uncategorized and tagged ADD, ADHD, adrenal, aging, AIDS, alzheimer's, antibiotic, antibiotic resistance, anxiety, asd, asthma, autism, autoimmune, autonomic, bacteria, bodybuilding, brain, brain development, breast, caesarian section, CAM, cancer, childbirth, chiropractic, clostridium, complementary alternative medicine, depression, diet, disorder, DNA, dopamine, doula, enteropathy, exercise, fatty liver, fermented, fermented foods, genetics, gluten, gonad size, gut, gut bacteria, gut health, health food, HIV, holobiont, hologenome, HPA axis, hypothalamus, IBS, immune, inflammation, irritable bowel syndrome, kefir, kombucha, lactobacillus, lifestyle, meditation, men health, mental health, microbiome, microbiota, midwife, NAFLD, reuteri, steatohepatitis, symbiont, symbiosis on October 19, 2014 by Dr. Richard Matthews. A recent study of mice (with parallel implications for humans) has shown that Lactobacillus reuteri, a common probiotic bacteria, induces a youthful testosterone level during aging. As many are all too well aware of, typically testosterone levels drop as men get older, beginning with *gasp* age 18-20. Really doesn’t seem fair, does it? “Low-T” as it is sometimes called results in hypogonadism (it, ummm, makes your privates smaller!) less muscle mass, bone density, energy level and other undesirable effects such as loss of motivation or “drive.” Unfortunately simply injecting medical testosterone has unwanted side effects and is not really a solution for most men. This study demonstrated that boosting levels of a probiotic, beneficial symbiotic bacteria resulted in youthful levels of testosterone, sperm counts, sperm health-in other words, it blocked the effects of aging on this system! Guys, I don’t need to tell you just how good that news is, right? It is one more example of how our bodies do not work as well without the symbiotic organisms it depends on. Things work better with good gut bacteria! Now the question is how to introduce these symbionts into the body and how to maintain a healthy population. That is one of the main reasons for the upcoming book, The Symbiont Factor! The easy part is finding L. reuteri, the hard part is maintaining a good “growing environment” for the symbionts and feeding them properly. Apparently it is worth it-if we take care of them, they take care of us! This entry was posted in Uncategorized and tagged aging, bodybuilding, gonad size, holobiont, hologenome, inflammation, lactobacillus, low-t, men health, men's, probiotic, reuteri, sperm, symbiotic, testicular atrophy, testosterone, testosterone level, Youthful Levels on March 28, 2014 by Dr. Richard Matthews.